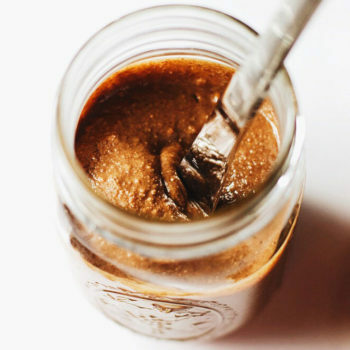 Creamy homemade chocolate-y almond butter that is so easy to make and so delicious! Spread it on toast, use it in smoothies/protein shakes, or use in baking recipes. Almond butter is one of my favorite nut butters – almost every morning I eat a crispy english muffin with almond butter and honey. 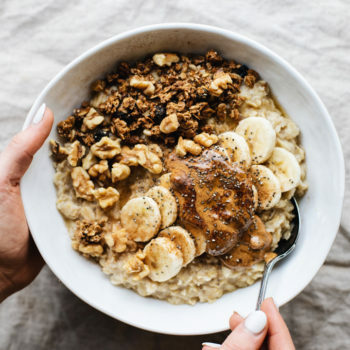 I love the taste of almond butter because it is satisfying, has a sweet taste to it, and is packed with protein, calcium, and so many nutrients. Can I Make Almond Butter In A Blender? Absolutely – I use my Vitamix to make nut butters like peanut butter, cashew butter, and almond butter. You can also use any other blender that is high-powdered. If you don’t have a high-power blender you can use a food processor instead. 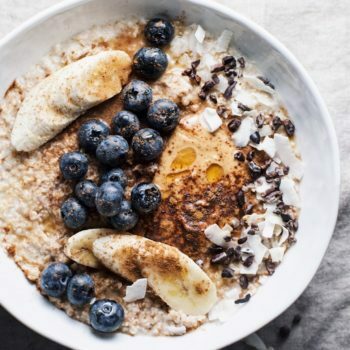 You can use almond butter in protein shakes/smoothies, baking recipes, and is great for breakfast dishes like pancakes, toast, and so much more. Recipes I’ve used almond butter in: 5 Ingredient Flourless Cookies, Chewy Flourless Chocolate Chip Cookies, and Healthy Protein Cookies, and Best Chocolate Peanut Butter Protein Shake. Take your time with nut butters – when blending the almonds it takes time for it to become a creamy consistency. It will first start out as almond flour/meal then will begin to liquify over time and begin to cream. 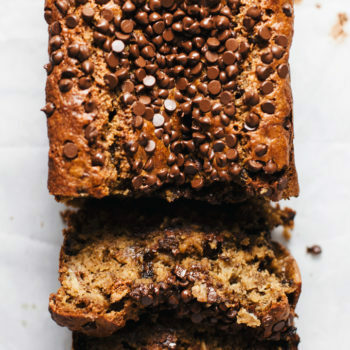 For this recipe to vegan – either remove honey or replace 1 tbsp of honey with coconut sugar. 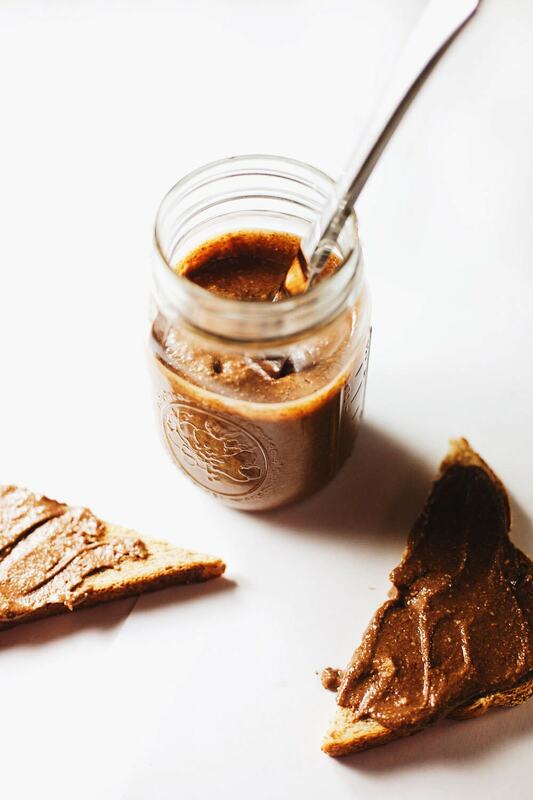 Store almond butter in a sealed glass jar and store in refrigerator to extend shelf life. 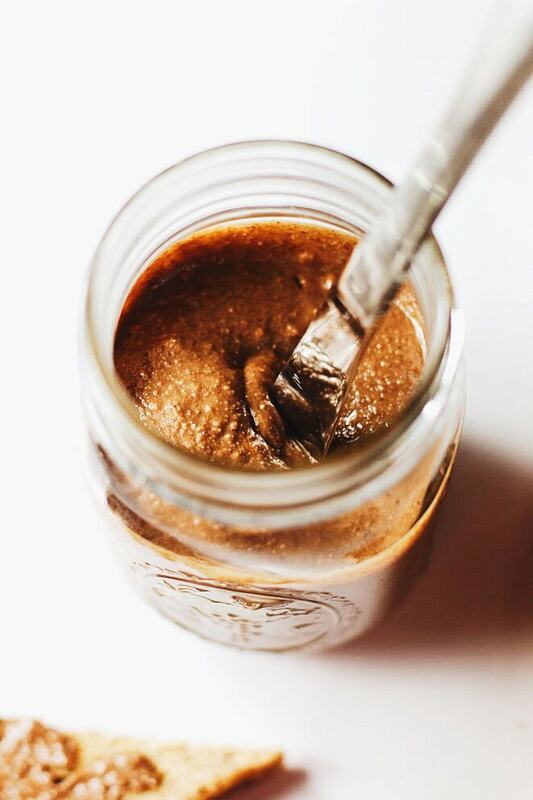 Creamy homemade chocolate-y almond butter that is so easy to make and so delicious! Spread it on toast, use it in smoothies/protein shakes, or add it to baking recipes. In a small bowl, soften chocolate chips for 30 seconds in microwave. Place all ingredients in either a high powered blender or food processor. Start at a slow rate and bring the speed up medium-high for the nuts to break down. Allow ingredients to bind together--stop and mix ingredients with a spoon to help out if need be. Blend for 2-3 minutes until ingredients form a smooth consistency. Store almond butter in fridge for up to a month. 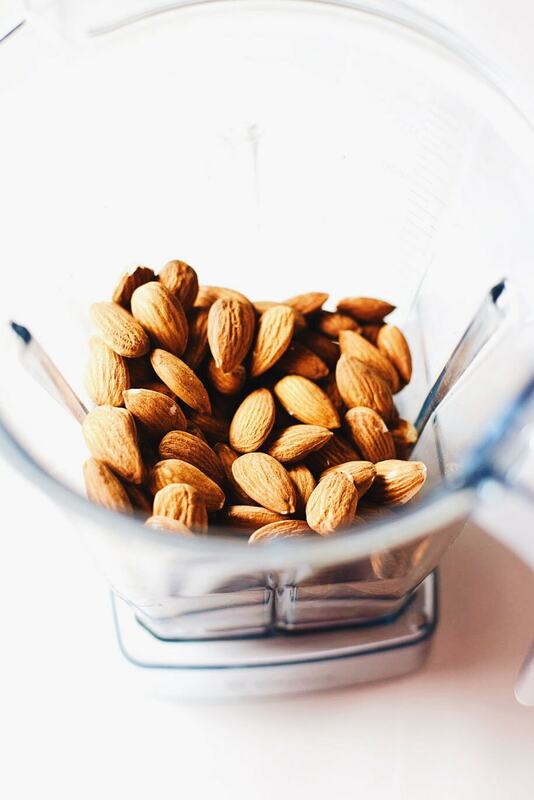 Take your time with nut butters - when blending the almonds it takes time for it to become a creamy consistency. It will first start out as almond flour/meal then will begin to liquify over time and begin to cream. For this recipe to vegan - either remove honey or replace 1 tbsp of honey with coconut sugar.